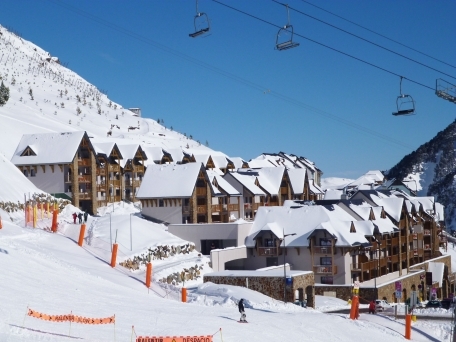 Tourmalet is a recently built ski residence located at 1800m in the heart of the ski resort of La Mongie. 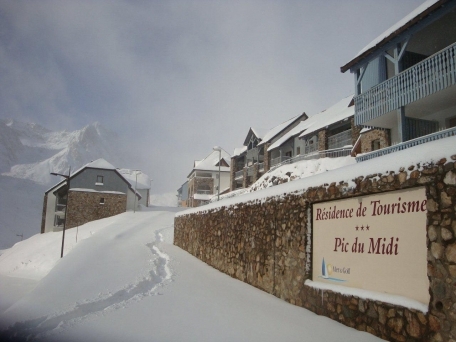 The residence faces south towards the Pic du Midi and the slopes of the Grand Tourmalet ski area. The resort centre is and Pic du Midi cable car is just a 500m away. Le Tourmalet is situated just in front of its sister residence “Pic Du midi” and faces south towards the Pic du Midi and the slopes of the Grand Tourmalet ski area. There is a local mini-market within the residence. The restaurants and bars are just 200 -500m away whilst the village centre and Pic Du Midi cable car are 500m away. This is all just a 5-10 minute walk, otherwise a free shuttle bus, 50m from Tourmalet, operates between the residence and the resort centre (09:00 - 18:00 daily and until 21:00 during French school holidays). 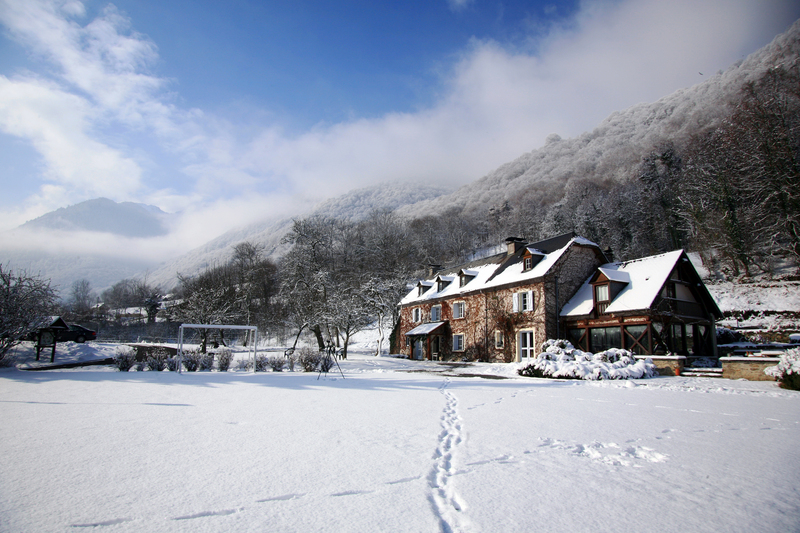 This modern building is constructed in traditional Pyrenean architecture using wood and stone and is composed of 3 buildings and houses a total of 92 self-catering ski apartments. 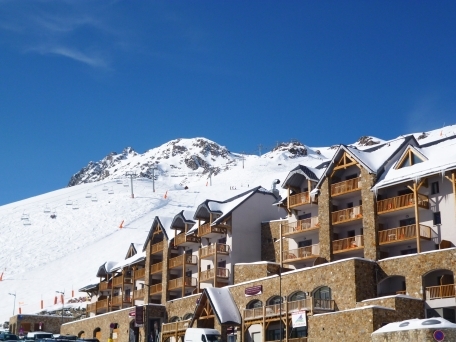 All of the apartments are south facing with a balcony that looks out across the beautiful ski area and inevitably up to the Pic du Midi which towers over the resort. The onsite indoor heated pool with its hydro-jet area is a joy after a hard days on the slopes and is open all day long (from 17:00 to 20:00 except Sat). Furthermore, the spa area (over 16 only, payable) with its Jacuzzi, sauna and hammam is great for the aching muscles whilst the fitness room is good for a quick work out. During the day and evenings there are activities and entertainment for adults and children and there is a pool table and table top football in the lounge area as well as a reading corner and TV area too. During the children’s school holidays, there is a kid’s club. 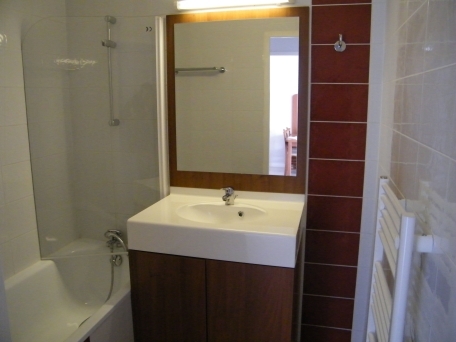 Other facilities at Le Tourmalet residence include 1 space in the underground parking (height limit 2.00m), Wi-Fi internet access in the main reception area and all apartments (payable), on-site grocery store, launderette (payable), luggage room (free, located near Reception and locked by key). Baby items, electrical gadgets and games can also be rented and loaned (see below). The centre of the resort with its bars restaurants and bars is just 500m away, a 4 minute walk. Otherwise a free shuttle bus operates between the residence and the resort centre (09:00 - 18:00, until 21:45 during French school holidays) every 15 minutes. The Children's Club will keep the little ones aged 4 - 8 years old entertained Sunday - Friday afternoons during the French school holidays of Christmas and February (payable, limited spaces, enrolment at Reception). 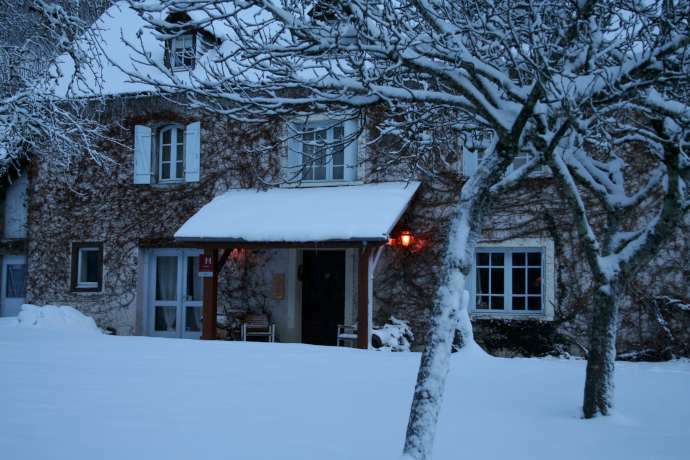 The self-catering ski apartments at Tourmalet in La Mongie are fitted and furnished to a very good standard of comfort and convenience, with everything you need during your stay. The decor is simple, modern and cosy. They all have a fully equipped kitchenette with 4-ring ceramic hob with extractor fan, fridge, microwave, dishwasher, kettle and electric coffee maker, WiFi (payable), TV and a furnished terrace or covered balcony with south facing view. 1 Bedroom Apartment sleeping 4 (ca. 30-35m2): Open plan living/dining area with double sofa bed, double or twin bedroom, bathroom & WC (most are separate). May be split level. Balcony or terrace. 2 Bedroom Apartment sleeping 6 (ca. 49m2): Open plan living/dining with double sofa bed, 1 double bedroom, 1 twin bedroom, shower-room and bathroom with WC. May be split level. Balcony or terrace. Please note: for any apartments at Tourmalet that feature bunk beds, sleeping in the top bunk is not recommended for children under the age of 6 years old. 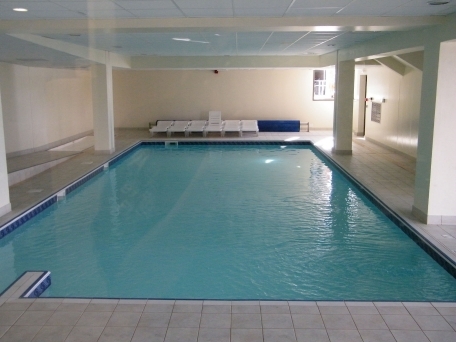 Fully equipped apartment, bed linen, towels (4 kits for all apartments), cleaning kit, underground parking (1 space per apartment), TV, ski locker (1 per apartment) & free access to the indoor heated swimming pool (open 10:00 - 20:00). Extra cleaning kit (mop, sponge, 7 dishwasher tablets, small multi-purpose detergent, small washing up liquid, 1 floor cloth): £6/kit. 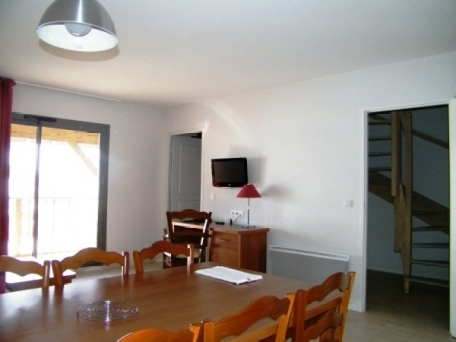 - Refundable breakage deposit: €200/apartment (credit card) - Please note no deposit, no keys! - Local Tourist Tax: €1.01/person 18yrs+/day (guiding fare). - Hire of extra towels: €9/kit (1 hand towel, 1 bath towel & 1 bath mat). 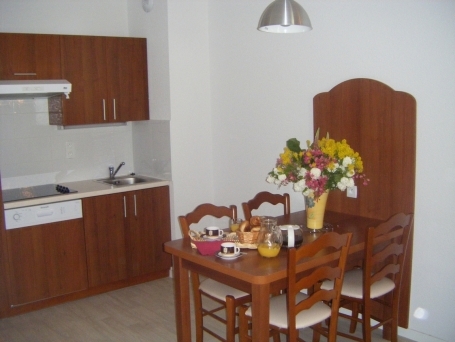 - End of stay cleaning (except kitchen area & dishes): €45-€110/apartment (depending on size). - Dishwasher tablets: €0.50/tablet or €2/5 tablets. 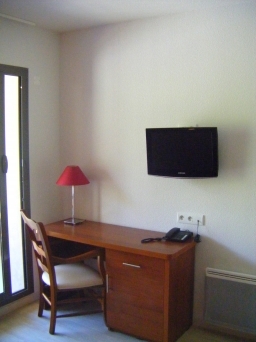 - Wi-Fi internet access in the main lobby & reception only: €10/week. - New! 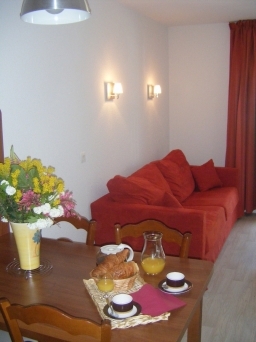 Wi-Fi internet access in all apartments: €5/day, €10/3 days, €20/week & Family Pack: €25/week/3 connections. 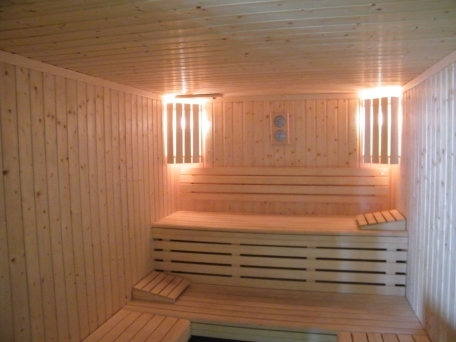 - Access to the Spa (from 16yrs & over) with sauna, steam room and fitness room (flip flops compulsory – sold on site): €9/session/apartment or €49/week/apartment. - Children’s Club for ages 4-8 years (Sunday – Friday afternoons): During Christmas, New Year and February holidays. 1 half-day: €5/child (limited spaces, enrolment at Reception). - Breakfast: €8/adult & €5/child under 12 yrs. - Bakery delivery service (pre-order the day before at reception). Arrival day at Tourmalet is Saturday (unless otherwise stated) 17:00 - 20:00 and Departure by 10:00.